United by Glue: WriterDuet, easy scripts for everyone! I previously made mention of the fact that I am writing scripts again. I don't really know what I want you to take away from that statement. In and of itself it is kind of meaningless. I write scripts with much of the same motivation and expectation that I write just about anything else for which I am not receiving currency, which is to say that it is done with a sort of blind enthusiastic self indulgence that is more commonly associated with chronic masturbation. I'm pleasing myself. The point I'm trying to make is that I don't ever really do it with the expectation that it will also bring any sort of amusement to others, and though I'm pretty open about that fact that I do it, I'm always a little uncomfortable when I'm caught in the act. I also like writing scripts, because it is easy to imagine that I am one day going to amass dozens of unproduced scripts in a trunk, and die unrecognised for my cinematic genius. The one thing I don't really like about writing scripts is that Final Draft is $227.83AUD (and other prices based on local currency), and I don't often feel like I have that kind of money to spend on the software (or any software). Did I miss a bit? Yes. I sort of did. Due to their formatting, writing scripts using most word processors is a pain. 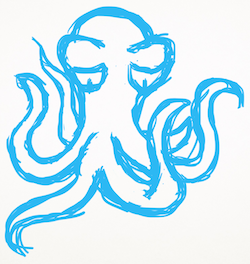 Even if you have all of the templates you get the distinct impression that in the midst of all of the backing and forthing you've some how managed to spend the great majority of your time engaged in some sort of unarmed combat with the formatting. Way back in that when in which I would declare my intentions to write scripts in lieu of far more acceptable and established greeting practices I developed a fondness for Final Draft, because it was essentially combat free. At the time I thought it was the wizard's knees, or his pyjamas, or whatever. I liked it. This same thing that I liked about Final Draft, can also be liked about WriterDuet, but unfortunately you are going to have to pay a far more reasonable price for it. It's free. WriterDuet works really well. It's very simple. Incredibly simple. It is very easy to write scripts using this software, which is what you are looking for in this sort of thing. You want it to do this as a primary function. They've nailed that. They really have. I write my scenes and go back and fix things, and I find that I am actually having a really good time. I'm basically just writing. That's what it should be like when you write. All you should be doing is writing. It just frees you up to become a more productive version of yourself, which as it happens is one of my favourite versions of just about anybody. 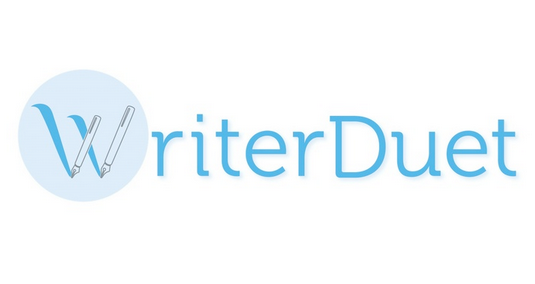 WriterDuet is at its very core a stripped back collaborative version of Final Draft. It works in a lot of the same sort of ways, but doesn't do all of the things, which it makes up for by being free and doing some other things. It is also connected to this other thing that I haven't looked into, and actually don't care about right now. What? You're already using some sort of other software and you don't want to rewrite your scripts into this other thing. That might be a zero problem depending on the software that you're using, because it is very tolerant, and will accept a variety of file formats. Their whole thing appears to be entirely on the up and up. I read through their EULA, and it appears to make proper sense, not that I am the kind of person who you should take the word of in this department. Find a lawface. They know these things. That is what they have trained for. The long game is that along side the web based version there is meant to be an app that will be for money that I assume will communicate the hell out of the situation with your account on the other thing, but it isn't here yet. You are probably wondering why you would pay for a version of something that is free, well that would be because you currently can't use this web based service offline. Because it is web based. That is about the only thing that is deeply irritating about it.